A little victory drink… It’s not every day I have meetings with BIG studio execs! 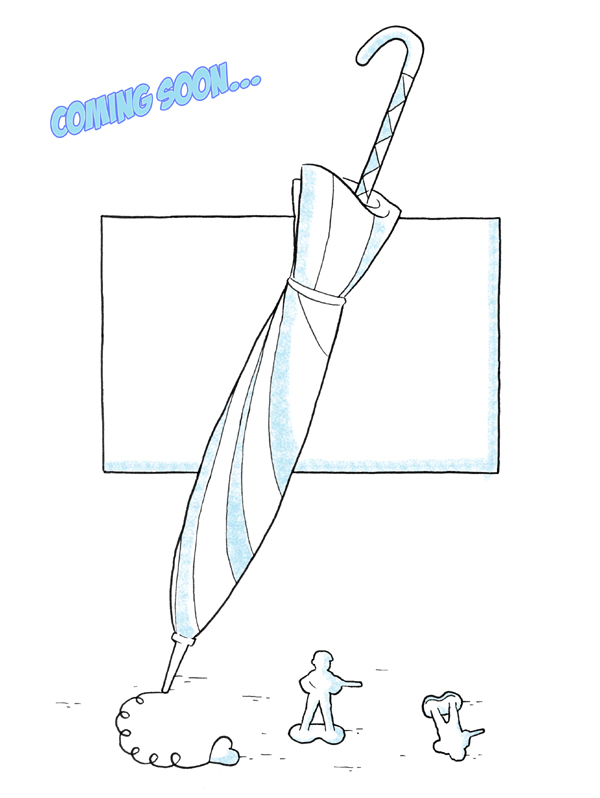 Next up on the boards is the release of my first children’s picture book, The World’s Crummiest Umbrella! I’m very excited to finally have the chance to bring this story to families everywhere and none of it would be possibly without Wandering in the Words Press. They are great supporters of artists and truly believe in the people they partner with and their work. The book will be available soon and I’ll be sure to break the news here first as soon as I know! Thanks for the continued love and support y’all! I truly appreciate it and creating wouldn’t be worth it if there weren’t at least a few folks to enjoy it with me.